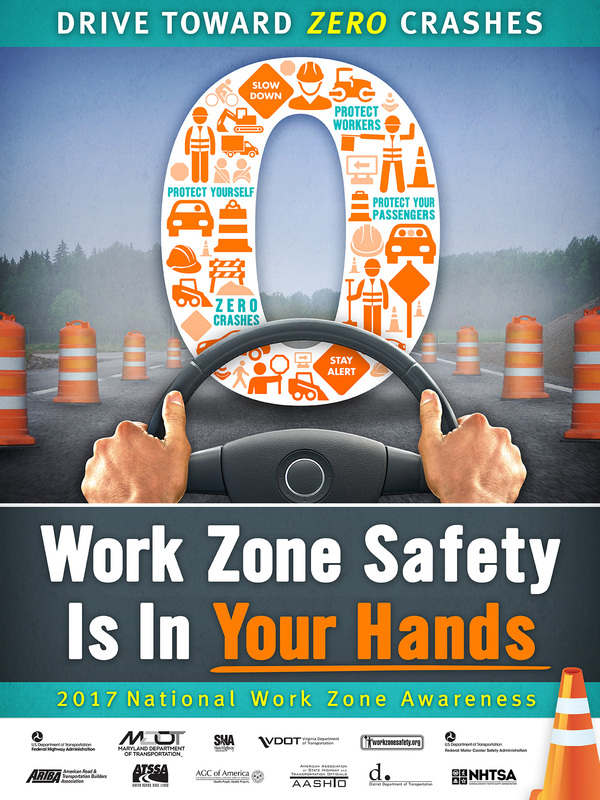 Yesterday, the Federal Highway Administration (FHWA) was joined by Federal Motor Carrier Safety Administration (FMCSA) and National Highway Traffic Safety Administration (NHTSA), Occupational Safety and Health Administration (OSHA) and other safety advocates yesterday to kick off National Work Zone Awareness Week (April 3-7). National Work Zone Awareness Week, sponsored each year at the beginning of construction season by federal, state and local transportation officials – along with several partners including the American Traffic Safety Services Association and the American Association of State Highway and Transportation Officials – raises awareness of safety measures taken on roads all over the country. As a part of that awareness, today is national “Go Orange Day.” Those you see wearing orange are showing their support for highway workers and their afety, and reminding us all to drive carefully through their workplaces. FHWA’s Martin Knopp, NHTSA’s Regional Administrator Beth Baker and Maryland Department of Transportation Secretary Pete Rahn at National Work Zone Awareness Week media event in Silver Spring, Md., as OSHA Regional Administrator Richard Mendelson looks on. This year’s theme, “Work Zone Safety Is In YOUR Hands!”, reminds us all that work zones require everyone to stay alert and be prepared for sudden changes that distracted drivers may not notice in time to prevent a crash. It is up to each of us to be vigilant when driving through or near highway work zones. But workers are not the only ones in danger. In fact, four out of every five work zone fatalities are drivers or their passengers. To stay safe, remain focused on the road and make sure you obey the speed limit. On average, three fatalities each work day happen in highway construction areas nationwide. While work zone fatalities have decreased by half over the past 15 years, around 700 highway work zone fatalities occurred in 2015, slightly up from 2014 – but that is 700 too many. This is something we can prevent, so please join us in raising awareness and driving safely. For more information on this year’s National Work Zone Awareness Week, follow FHWA on Twitter or join the conversation by using the #NWZAW and #Orange4Safety hashtags.